That distinct accent that always keeps our patients guessing belongs to Ninoua, our office manager. Ninoua, also known as Nina, began her career in 2006 in her native New Zealand. It was there that she obtained her Optical Dispensing certification. Love brought her to the United States and eventually to our office. Ninoua is excited for the fashion side of frames and can often be found in the dispensary. Ninoua believes in finding a frame that brings you that make-up with no make-up look. With a great knowledge of lens designs she can fit the needs of your lifestyle. When not at the office, Ninoua and her husband can often be found exploring the Pacific Coast beaches. Fulfilling her love of fashion, Ninoua can also be often found at South Coast Plaza and Cabazon. She wishes to continue her worldwide travels with her husband. Maybe one day, she will even return to her favorite place Santorini, Greece. Tania is our lab manager, overseeing lab orders, quality control, and the cutting of lenses. 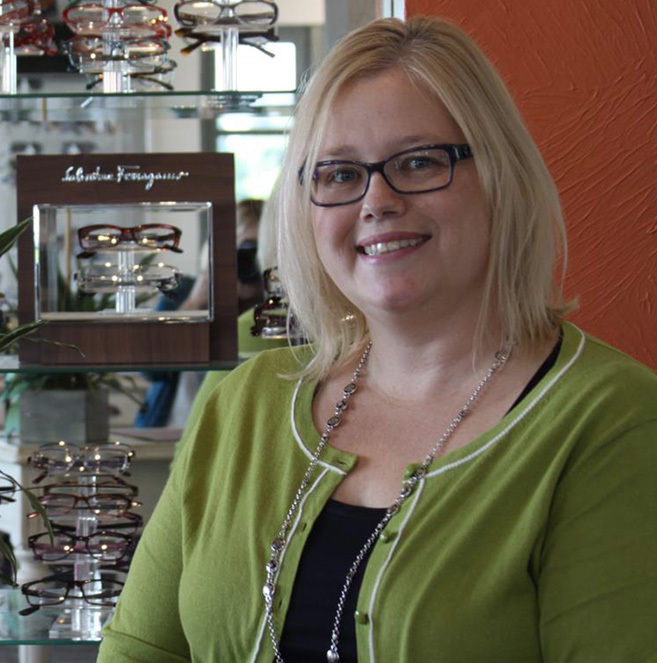 She has 20 years of experience in the optical industry and our patients love her funky style. She has a knack for helping people step out of their comfort zone and find the pair of glasses they will LOVE. 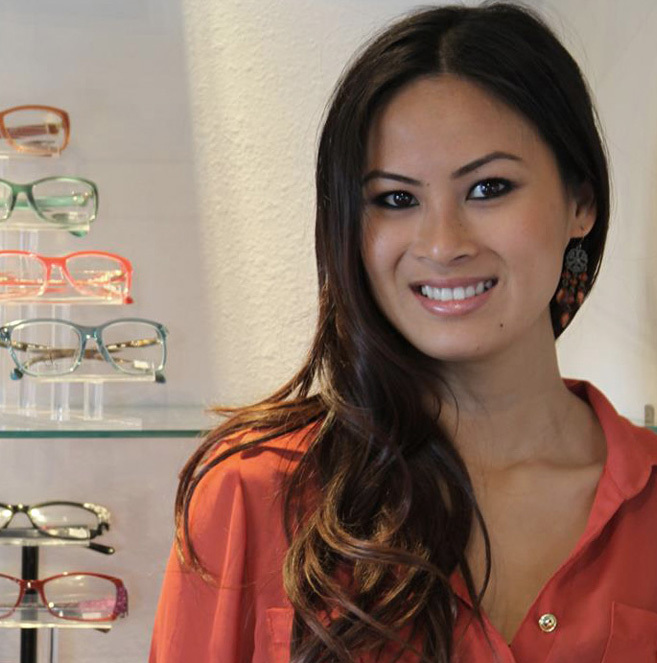 Tania may even love glasses a little too much, having accumulated over 100 pairs in her personal collection… Tania is a Tustin native and enjoys sewing and spending time with her son and daughter in her spare time. Jennifer is one of the first people that you will interact with at our office. 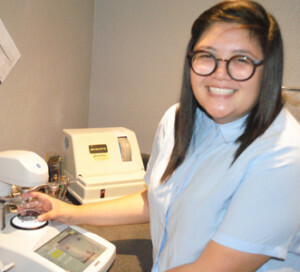 As our Optometric Technician she will guide you through pretesting and aid in any special testing that you may need. Jennifer helps us with everything from scheduling and contact lens orders to selecting and dispensing glasses, so you will see her all around the office. Jennifer grew up in Orange County and has been a member of our team since 2016. When she is not at the office, she enjoys spending time with her daughters and doing crafts. She also loves to water ski! 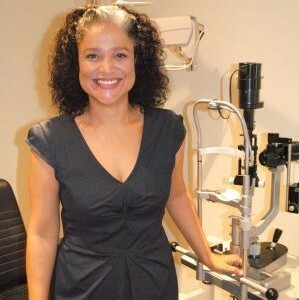 Carla joined our office in 1991 as an American Board of Opticianry Certified Optician. She received her Bachelor’s degree in Liberal Studies from Cal State University, Fullerton. Carla has spent many years custom edging lenses and has a great knowledge in the ever changing world of lens technology. Carla can answer your insurance questions, custom fit your glasses, and train you to be an accomplished contact lens wearer. 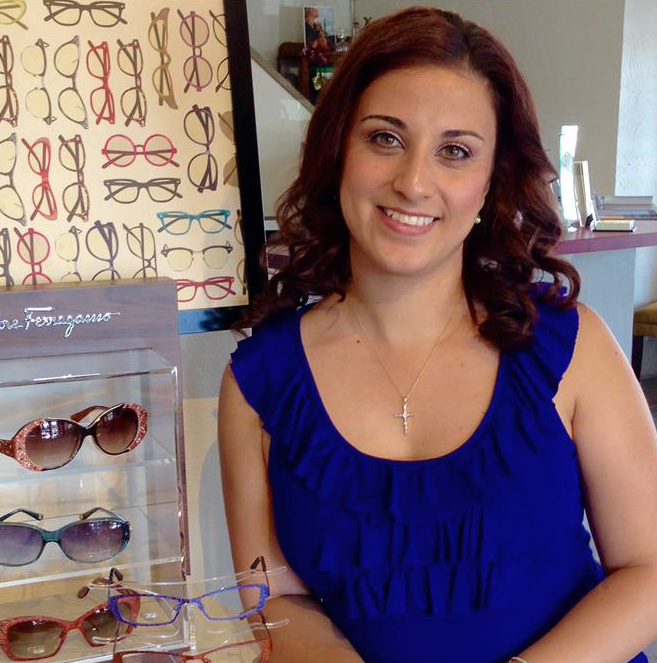 Also with a flare for selecting and fitting eyewear, Carla can help you make your eye-wear decisions. In her free time, Carla loves to travel. Some of her travels include the Caribbean, Europe and the Mediterranean. She and her husband Randy reside in Fountain Valley and coach a girl’s softball team together. Teresa is one of our fantastic opticians. 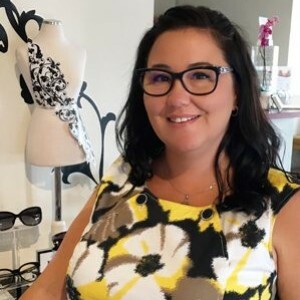 With over 10 years experience in the optical industry, Teresa is comfortable with all areas of the office, including frame selections and specializing in new digital lens designs. On the weekends, Teresa enjoys reading, movies, and gluten free cooking. Outside of that, Teresa and her husband Andy have two lovely daughters who help keep them plenty busy. Come in soon and present your complicated vision needs to Teresa, she isn’t afraid of a challenge! Chello is the one that makes a lot of the magic happen behind the scenes. She is an expert at cutting and edging lenses to fit perfectly into frames and is relentless at tracking orders that are completed at labs through your vision insurance. She also helps out with other things around the office including dispensing, pretesting, and scheduling.